Discover Hackney (www.discoverhackney.co.uk)has another excellent programme of activities for adults this May. Discover Haggerston's architectural gems during a guided tour which will take in contrasting landmarks from a Victorian garden square to a bold post-war school. A series of talks on historical Hackney themes, taking place in St Augustine's Tower, Hackney's only medieval building.The Tower will be open for refreshments from 7.00pm. Help to uncover the Hackney histories held in Hoxton Hall's rich and varied archive, including artefacts and memorabilia. Work with a qualified archivist to learn the fundamentals of caring for and cataloguing historical objects, and explore how those objects contribute to the stories of our community. 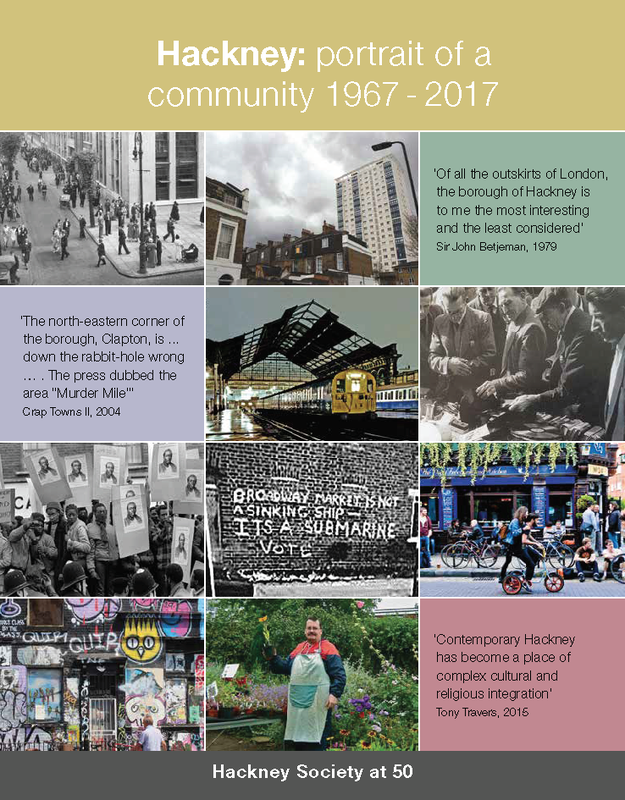 Talks and walks focusing on the built environment and the social and cultural history of Hackney, based on a new Hackney Society book, Hackney: An Uncommon History in Five Parts, edited by Margaret Willes. with Juliet Gardiner and Ann Robey. 16 May: Pages of Hackney, 70 Lower Clapton Road, E5 0RN with David Garrard and Margaret Willes. FREE but booking required, email mailto:events@hackneysociety.org?subject=Events%20at%20Hackney%20Society or ring 07771 225183. A special evening opening at the Geffrye Museum to explore how cultures from around the world have influenced homes in England. Join us for live music, talks, craft workshops and a chopstick challenge. Tickets £6.00 adults /£4.00 concessions (includes a glass of wine). Booking required, contact the Bookings Officer on 020 7749 6024 or email &#;strong&#;bookings@geffrye-museum.org.uk&#;&#;strong&#;. This page was added on 02/05/2012.